The loss of seeds is a big story but just as much emphasis should be on the players who caused the upsets… step forward, Shuai Zhang. The Chinese player had lost 14 consecutive Grand Slam main draw matches and only just went and broke her streak beating the number two player in the world. Her on-court interview is a tearjerker and very moving… stories like this is what makes tennis so special and why I love this sport. Quite a few tears in the eyes of the journalists after that press conference. That’s tennis. Your fortunes can change in one single match. Johanna Konta had a fantastic win over Venus Williams on the one of the biggest stages of them all. Here’s an interview from the Australian Open You Tube page. Kerber is leaving this completely up to Doi. Works sometimes, but…risky. And Doi breaks to get back on serve. 7-6, 4-5. Kerber led the first set 4-0, lost it 7-6(4). Kerber led the second set 5-2, now 5-5. Poor Misaki Doi… her forehand is AWESOME but she has serious problems closing out matches. 2015 RG 2R: Ivanovic def. Doi 3-6, 6-3, 6-4. Wimby 1R: Svitolina def. Doi 3-6, 6-3, 6-2. USO 2R: Bencic def. Doi 5-7, 7-6(3), 6-3. And finally from the Kerber v Doi match, there were some super photos shared on social media. I was really impressed with Naomi Osaka today who beat Donna Vekic, 6-3 6-2. She’s already won ten matches in 2016 and is definitely one to watch. Naomi Osaka is such an exciting prospect. Can't wait to see more of her. And Osaka plays Elina Svitolina in the second round, which should be a fascinating match. I’ll be previewing it here on Moo’s Tennis Blog tomorrow. Here’s another great shot from @katsheart on Twitter, this time of Svitolina. The big upset from the men’s draw was Rafael Nadal going out to Fernando Verdasco in five sets. Two things that grabbed me… *that* rally on set point and Verdasco’s incredible winners to unforced error tally, finishing off with number 90 on a crunching return. I’m not too thrilled about tomorrow’s schedule during the day with the two matches that I really, really, really want to watch during the morning and therefore when i’m work… going for a 5.30am alarm. 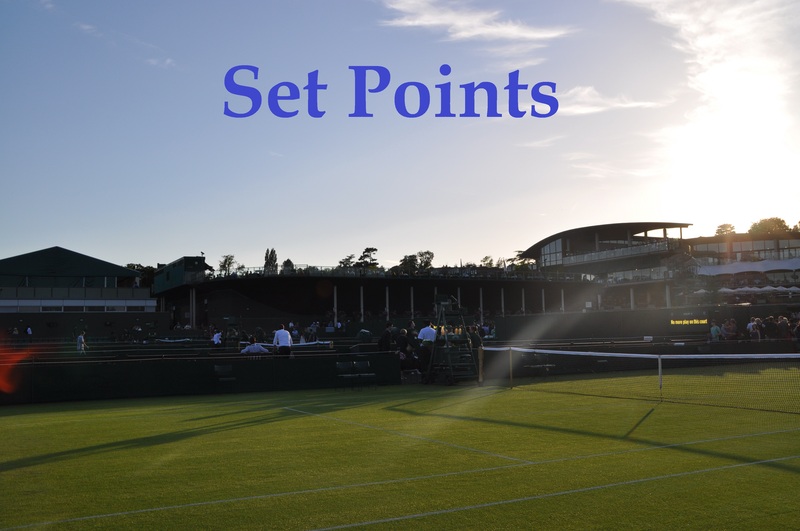 January 19, 2016 in Australian Open, Set Points, WTA. I’m really liking Sabine Lisicki going deep into the draw. I was confident when I first saw the draw and even more now. Would love a Lisicki- Serena final. Those matches have been entertaining the last few years at Wimbledon 2013 and Miami 2015. Really? I just dont think Lisicki is remotely stable enough to make it to a final. A lot has happened in the two and a half years since she got to the Wimbledon final. I was quite impressed with her against Cetkovska considering how she started the year at the Hopman Cup. She’s got a shot for sure, Allertova in R2 feels like a 50-50 match. I’m impressed that Allertova carved out a win. She has yet to lose in the first round of a Slam now in five goes… she has a really refreshing game that is fun to watch. She’s also beaten Lisicki in their only match played and seems well suited to quick courts. I like these new kind of posts, James! 🙂 really nice for catching up. At least Bencic and Serena are through. Oh Sveta… Sounds like Bondarenko played a sensational match. Yeah it does. But Sveta wasnt on form.